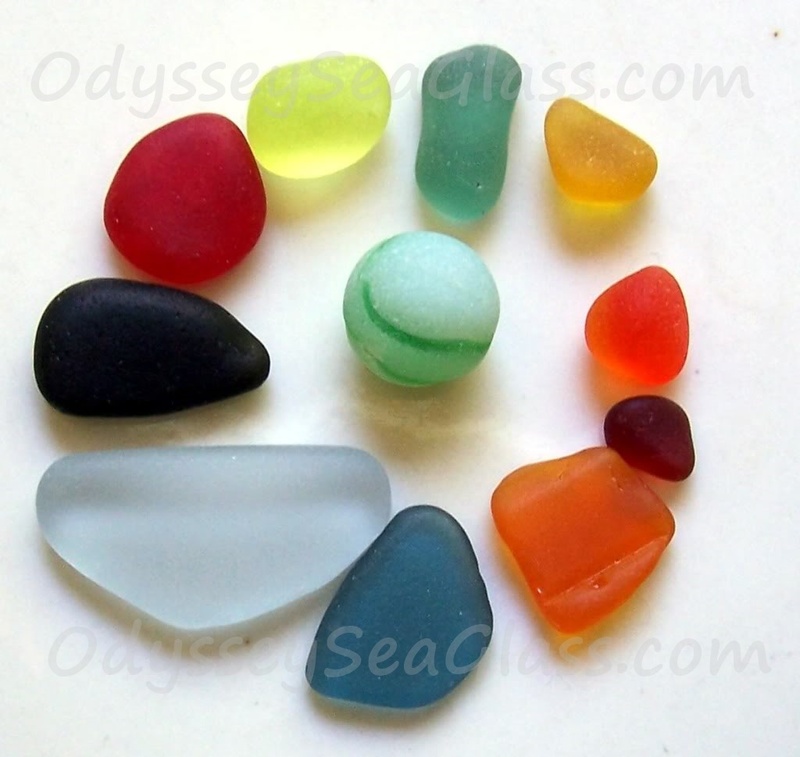 What sea glass or beach glass colors are the rarest? That depends somewhat on the particular country, beach, etc. However, this page reflects a huge amount of research and gives you a good idea of which colors are the rarest overall. I'm going to list the rarity of colors based upon our own collection (which is a lot of sea glass collected over the years). Keep in mind what I said about the color rarity being different depending on the geographical area. Friends and family have helped contribute a few nice pieces to our collection. Other Colors of Sea Glass? There are many, many colors that don't fit an exact color category. For example, David found one that the best way to describe it is a smoky dark prune-gray color. It could be classified as pale purple (perhaps) or a gray. One area will have some of the rarer colors as more common or vice versa. For example, we found a lot of cobalt blue on our local beach when we lived in the State of Washington. On that beach cobalt-colored sea glass was not very rare. On the other hand, at our local beach while living in Peru, teal was fairly abundant and cobalt was more rare. On other beaches you might find that cobalt or teal or another less rare color may be among the rarest of colors for that particular beach. 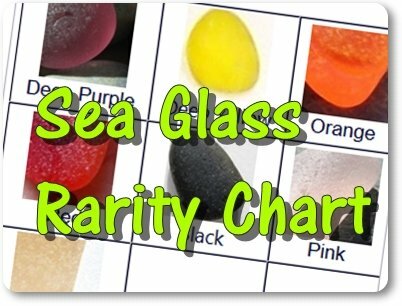 Again, this sea glass rarity chart in general is pretty accurate. What colors do you find to be the rarest? Feel free to make comments on our forums pages or below in the Facebook comments. Note also that the above colors don't represent the wide array of hues or tints that are found in sea glass. Just find the closest on this color rarity chart and you'll get an idea of about how rare it is.